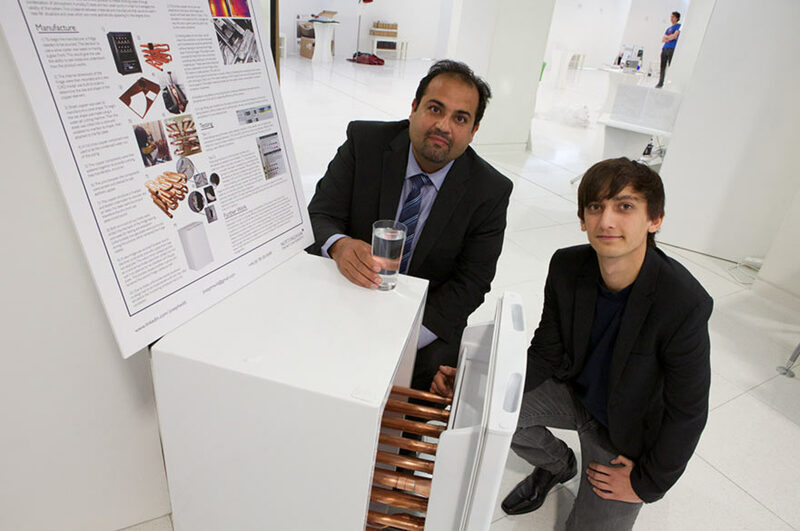 A student at Nottingham Trent University is using repurposed fridges to create drinking water from thin air to help people in developing countries. It's a fantastic example of how we can help people in the developing world. Joseph Wild, a product design undergraduate at the University's School of Architecture, Design and the Built Environment, says the machine could help save lives in areas which have water shortages. The project is being led by Dr Amin Al-Habaibeh, a reader in advanced design and manufacturing technologies at the University and the leader of the Innovative and Sustainable Built Environment Technologies (iSBET) Research Group. The working prototype will go on show for the University’s Art and Design Degree Shows Festival, which takes place between 30 May and 7 June 2014. The machine, which can be run by solar power, is designed for use in humid climates and can provide enough water to meet the daily needs of a small family. "Water shortage is one of the world's greatest challenges and more than 768 million people globally lack access to a safe source of water," said Joseph, 23, originally from Adel in Leeds. "Not only that, but around 2,000 children die each day from diarrhoea caused by unsafe water and poor sanitation. "Yet this simple device could help alleviate a lot of those problems while finding a sustainable use for unwanted refrigerators. 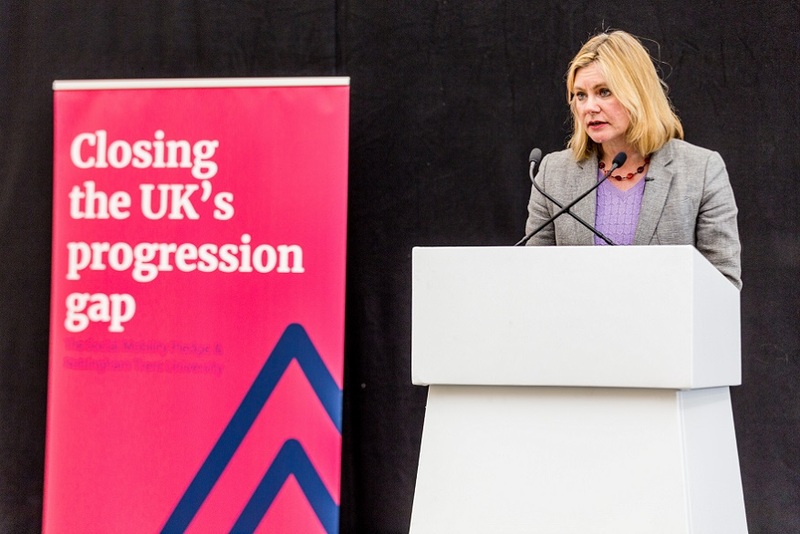 "By repurposing old fridges - which otherwise may end up on the scrapheap – we could provide the safe drinking water needed to help save people's lives." It works by drawing air into a cool fridge with reused computer fans and passing it through a cold copper tube. As the warm, humid air cools in the tube the vapour contents condense to form water. The water is then collected at the bottom of the fridge in a container and is stored at a low temperature to reduce any health risks or contamination. Minerals can be added to ensure that it has the right balance of nutrients which are found in ordinary water. People can access the water via a tap which prevents the need for the fridge to be opened frequently. The team aims to provide instructions of how to make the machines - including the procedure and materials needed - over the internet so that people and charities around the world can build their own water generation systems. Dr Al-Habaibeh said: "This project shows how everyday items which are often thrown away by many societies could be reused to help solve the problems of developing countries. "Rather than dispose of unwanted refrigerators and freezers, we could repurpose them to help provide the clean drinking water which is needed by thousands of people in other countries. "It's a fantastic example of how we can help people in the developing world while also being sustainable by supporting reuse and recycling. 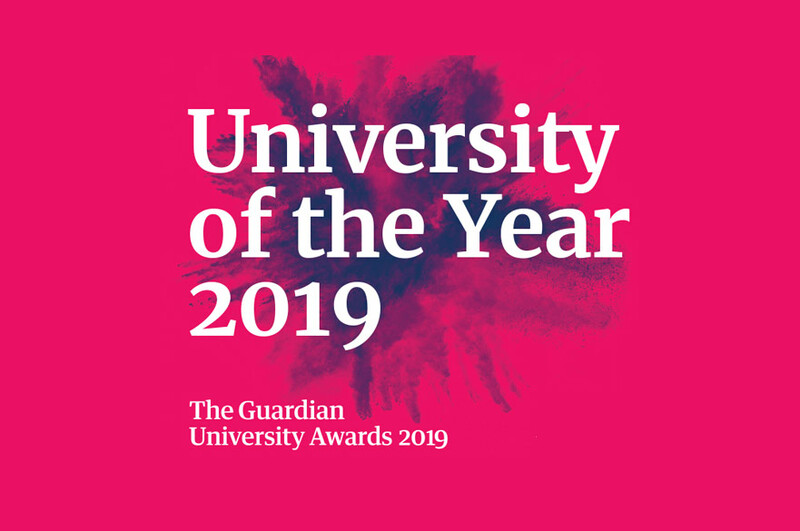 "At Nottingham Trent University we focus on research-informed teaching and use real live projects to encourage innovation and enable students to be the leading designers of the future. 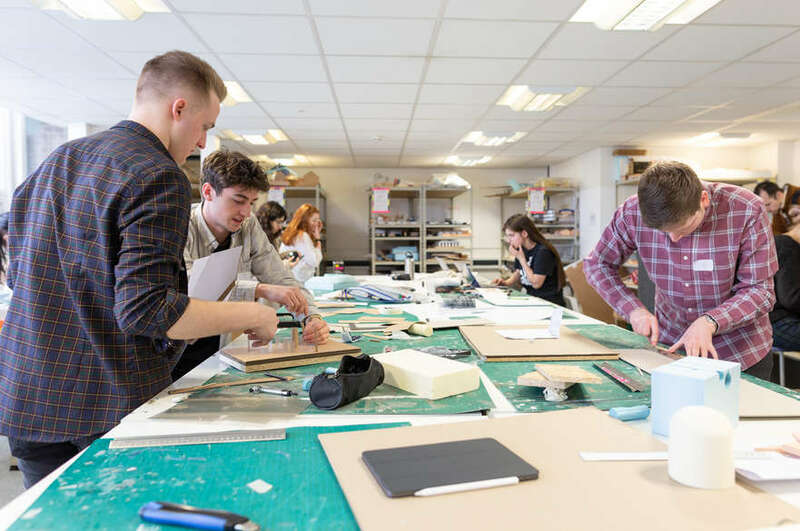 "So it is quite fitting that, during the year in which the University is celebrating its 170 year heritage of Art and Design education, our students are producing such fantastic work."